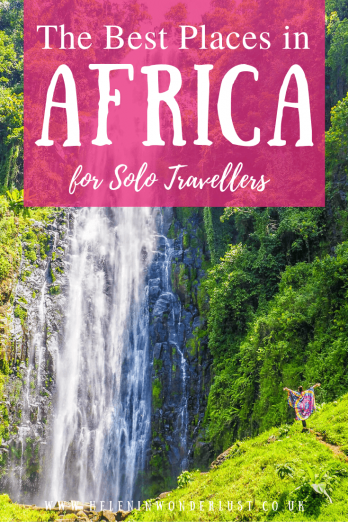 Solo travel in Africa is an incredibly rewarding and awesome experience, but it’s always a bit daunting when you are travelling to a new place or a new country and especially to a new continent by yourself. So when you start to plan your trip to Arica, the first question you’ll probably ask is where should I go? I love travelling solo, but isn’t always easy in Africa and it can be lonely at times, especially if you’re a sociable person, like me. Don’t get me wrong, I like some alone time, but a big part of why I travel (apart from going on adventures and experiencing new cultures) is to meet new people and make friends to travel with, to make memories with and… to share costs with. So my second question tends to be, where shall I go to meet people? 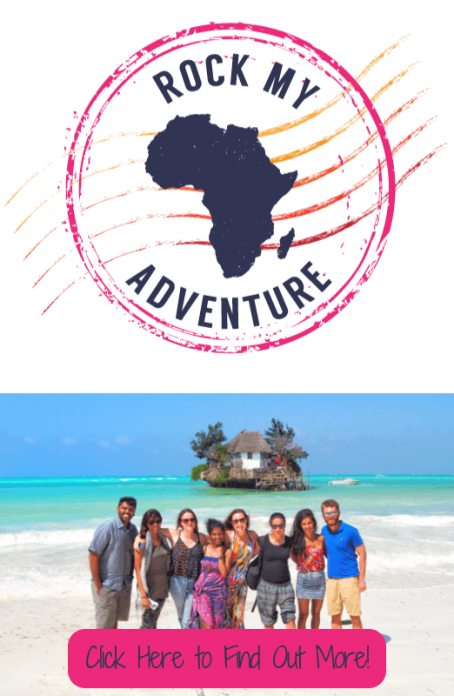 In Africa, it’s very likely that there will be days when you don’t have anyone to hang out with or travel, which is why joining a tour like mine can be a great option. 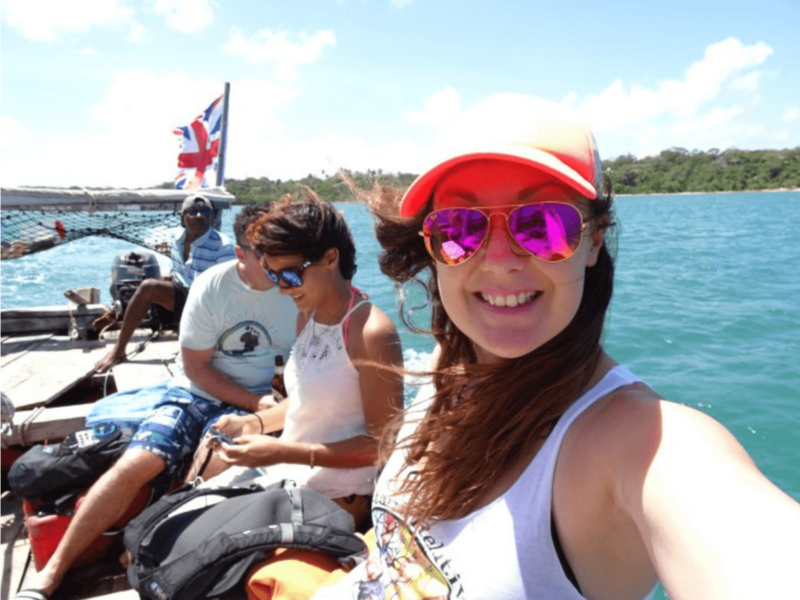 I make my tours as much like an independent backpacking/flashpacking trip as you can imagine, but without the loneliness and hassle. But tours aren’t for everyone and if you love to travel alone that’s awesome too. 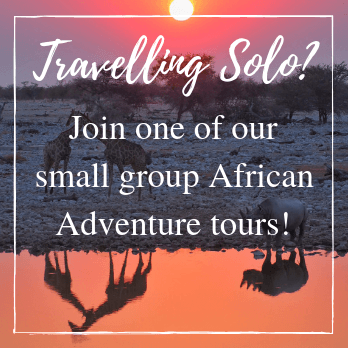 When travelling on my own in Africa, I look for places where I’ll be able make some friends, where there are some cool things to do and where I feel safe, especially as a solo female traveller. 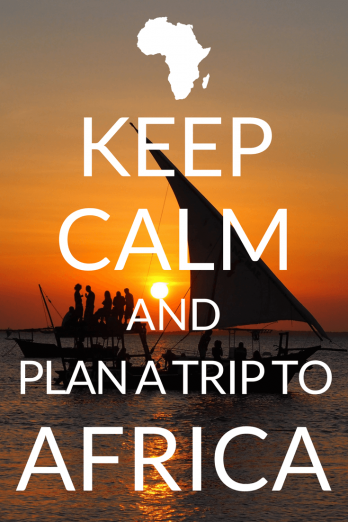 Over the last 10 years, I’ve visited lots of different African countries and lots of different places, so I wanted to put together a list of some of the best places for solo travellers to help you on your journey. There are of course lots more places where you can travel solo, but these are my favourite backpacker friendly destinations… so far. This list will continue to grow as I explore new places and if you have any suggestions, feel free to drop ’em in the comments below. 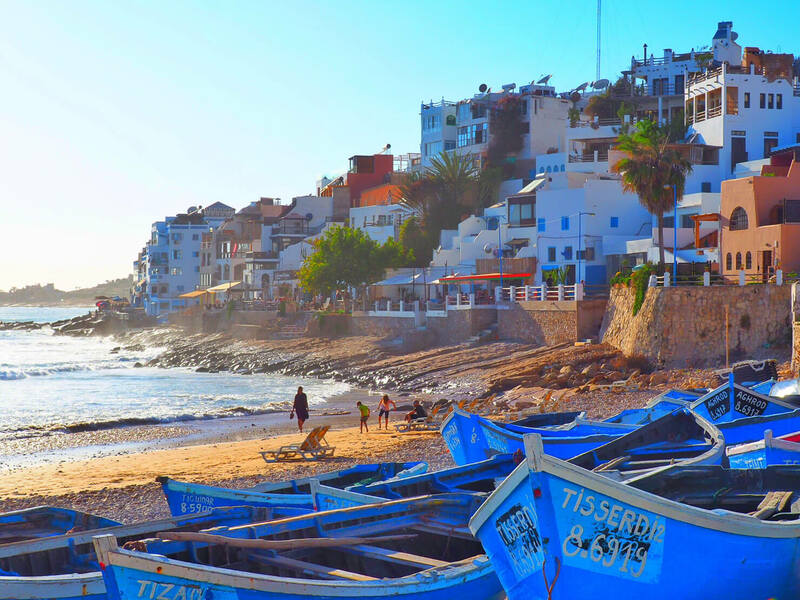 If you love surfing, or even if you’ve never done it before and want to learn, Taghazout in Morocco is an amazing place for a solo traveller. There are a number of surf schools in the town and you can join their courses lasting from a few days to a few weeks. By day, you’ll usually go out as a group which makes it super easy to bond over the shared experience of learning to surf and by night, most of the surf schools have some kind of communal dinner set up, so you’ll spend your nights chatting with your new pals. Absolutely perfect for a solo traveller! Surf Berber: This is a great budget surf school which is always busy with solo travellers and groups. The set up is really relaxed, friendly and they’re well-priced. 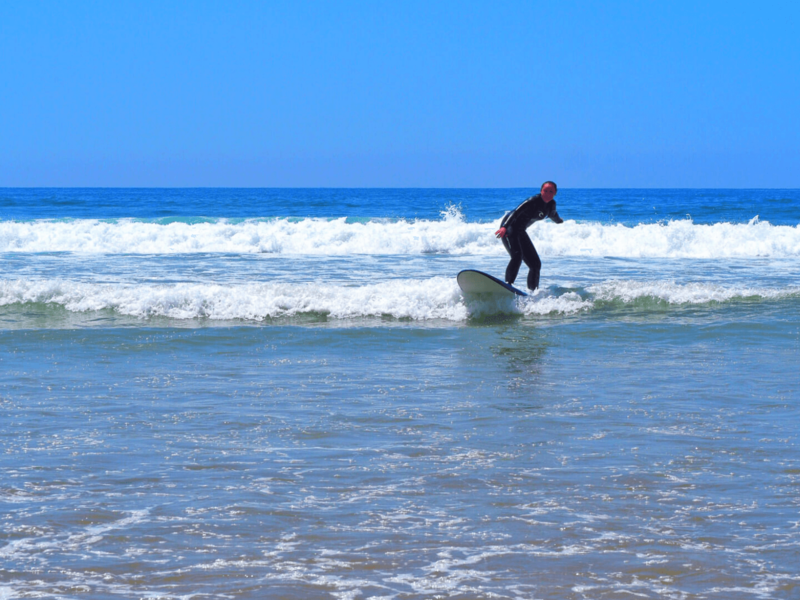 Surf Maroc: A little bit more ’boutique’ style than Surf Berber, but just as social. They have a few different options for rooms including bunks and shared rooms, as well as weekly events including a movie night. I LOVED it here and can’t wait to visit again soon. Read more about Morocco here. Kigali is a GREAT city! It’s friendly, very safe, cosmopolitan and not too hectic, plus there are lots of things to do. 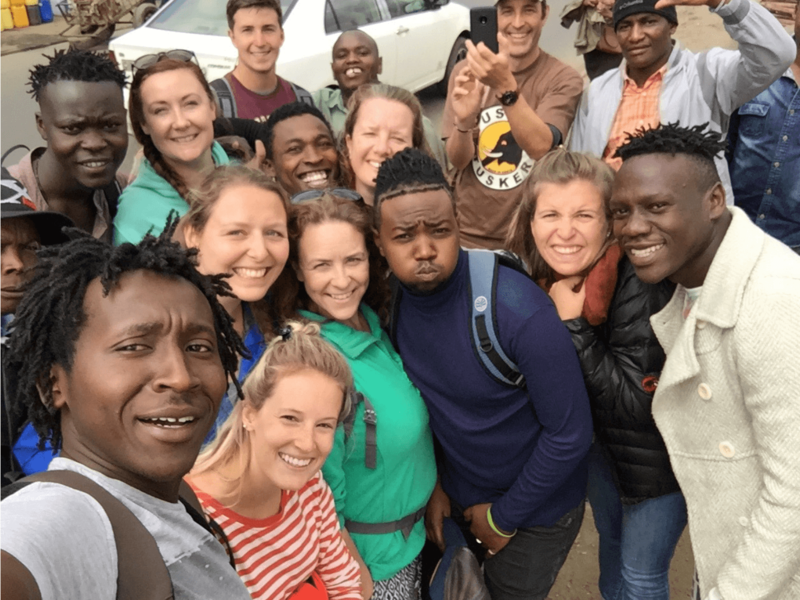 As with many of the cities in Africa, it’s a good place to meet a few buddies to start you off on your travels (if you stay in the right places) and whenever I’ve been there alone, I’ve always managed to find a friend or two who I’ve been able to explore the city with. There are lots of things to do, but I highly recommend the INEMA Arts Centre, the local markets and the Nyamirambo Women’s Centre walking tours. Also be sure to visit the Kigali Genocide Memorial to learn about the events of the 1994 genocide which changed the country forever. Kigali is a good starting point from which to explore the rest of Rwanda, and it’s not too far from the borders with Uganda or the DRC too. Yambi Hotel: I really love this place, it’s a guesthouse with nice and small dorms, so it tends to attract solo travellers as well as groups and couples. Read more about Rwanda here. As well as being one of the most beautiful parts of Africa, Jinja in Uganda is a wonderful place to meet other solo travellers. Known as the adventure capital of East Africa, Jinja is a hub for kayakers, white water rafters, backpackers and other adventure enthusiasts. Even if you don’t enjoy extreme sports, you will be blown away by the stunning scenery and friendly locals. Plus, there are plenty of more gentle things to do like cycling, stand up paddle boarding and sunset cruises in the Nile. 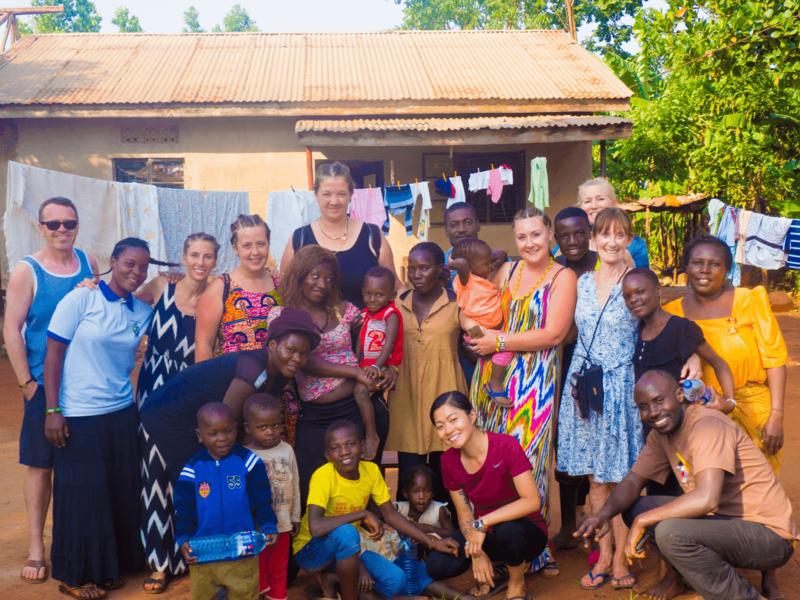 The hub of the backpacker action revolves around the village of Bujagali (about 20 minutes from Jinja), whilst Jinja town is more popular with the volunteer/NGO crowd, but there are backpackers there too. 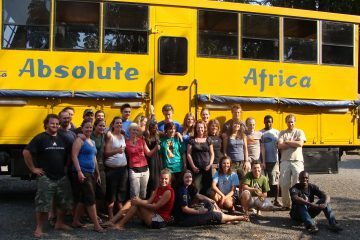 Nile River Explorers (NRE): This is one of my favourite camps, well located on the banks of the Nile. They have a busy and popular bar, with great views and cold beer, so you’ll always find a friend or two here. They have a good mix of accommodation available too. Nile River Camp (NRC): A short walk from NRE, this is another great choice. Camping and accommodated options available. Read more about Uganda here. Nairobi has a bad reputation. I hated it the first time I visited. I thought it was too congested (still true), scary (it’s not exactly the safest city in the world, but it’s by no means the worst either) and didn’t have much character (not true at all). I was passing through on an overland tour back then and didn’t really appreciate what Nairobi is, but after travelling there many times since, I now really like the Nairobi, it kind of feels like home. It has its problems, but it’s also cool, creative, edgy and there are lots of fun and interesting things to do. It’s also a good place for a solo traveller, especially if you are looking for joining safaris through Kenya and Tanzania. Wildebeest Eco Camp: Beautiful camp with communal dinners which usually encourages conversation. I always meet lots of people here. Milimani Backpackers: Nice, friendly backpackers near to the Giraffe Centre and Sheldrick Wildlife Trust. Their dog Scooby is one of my faves. Manyatta Backpackers: I haven’t stayed here for years, but I see it recommended a lot in Facebook groups and it’s much closer to the CBD than the other two which are on the outskirts of the city, near to the Giraffe Centre and Sheldrick Elephant Orphanage. Mombasa is a must-see on the Kenyan coast, full of history and insight into how the Swahili culture came to be. You love wandering through the old town which reminds me of Stone Town in Zanzibar, taking in the crumbling Indian, Arabic and Portuguese architecture which combined create the unique Swahili style. Mombasa is a big city, with lots of energy and colour. It can be a little hectic for some, but I definitely recommend to visit, even if it’s just for a few days. 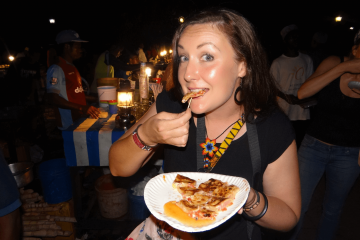 There are also some great restaurants too serving some of the best food in East Africa. Pretty much everyone who travels to the Kenyan coast will pass through Mombasa at some point, so there’s always a traveller or 4 to hang out with. Just keep your wits about you in Mombasa. Petty crime is common, as it is in Nairobi, so you should stay vigilant and be careful with your belongings. I’d avoid wearing flashy jewellery and keep an eye on your belongings when out and about. 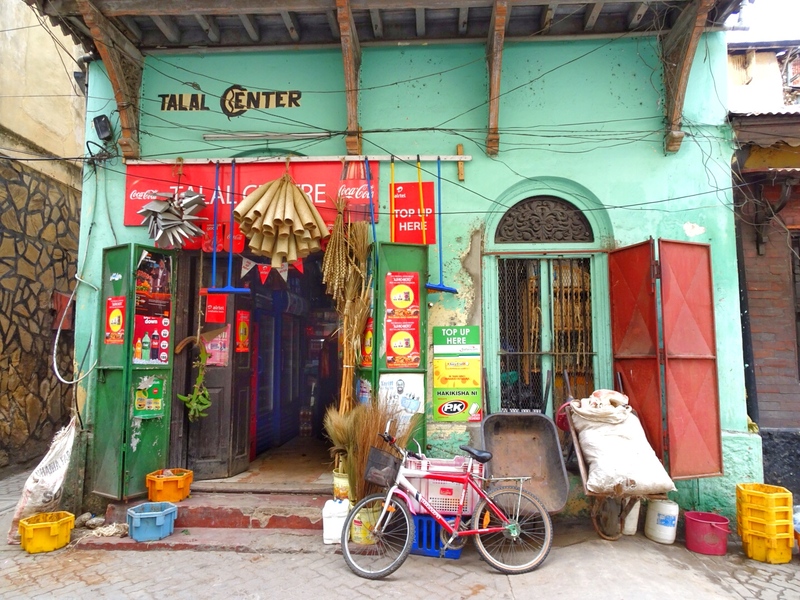 Tulia House: Mombasa has a surprising lack of good backpacker hostels, but there is one that most backpackers gather at called Tulia House in Nyali. The rooms and bathrooms could do with sprucing up a bit, but the pool and bar area are very sociable. go hang out there and you’ll make a friend in minutes. If you’re looking for a laid-back, eco paradise, then you’ll love Kilifi on the Kenyan coast. The main draw for backpackers is the Distant Relatives Ecolodge, a chilled out hostel that lies at the top of Kilifi Creek. The friendly, laid back-vibe tends to attract a lot of cool people including locals, independent travellers, so there’s always something going on and someone to hang out with. 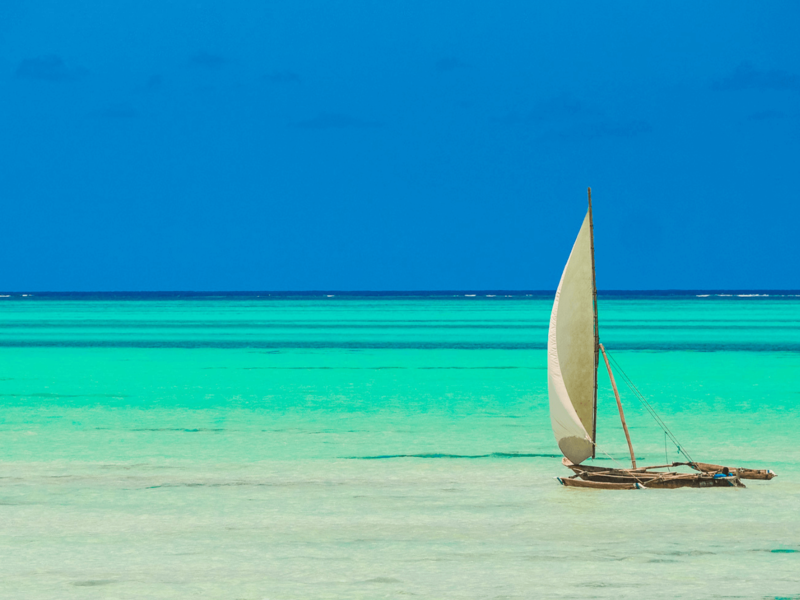 You can spend your time relaxing in a hammock, swimming in the creek or the pool or taking a day trip out somewhere – there’s lots to do on the Kenyan coast. Distant Relatives Ecolodge: There are a few places to stay around Kilifi, but Distant Relatives is the hub of the action and you’ll find an eclectic mix of people hanging out here. This is also a great place to spend New Year as they throw a great big party. 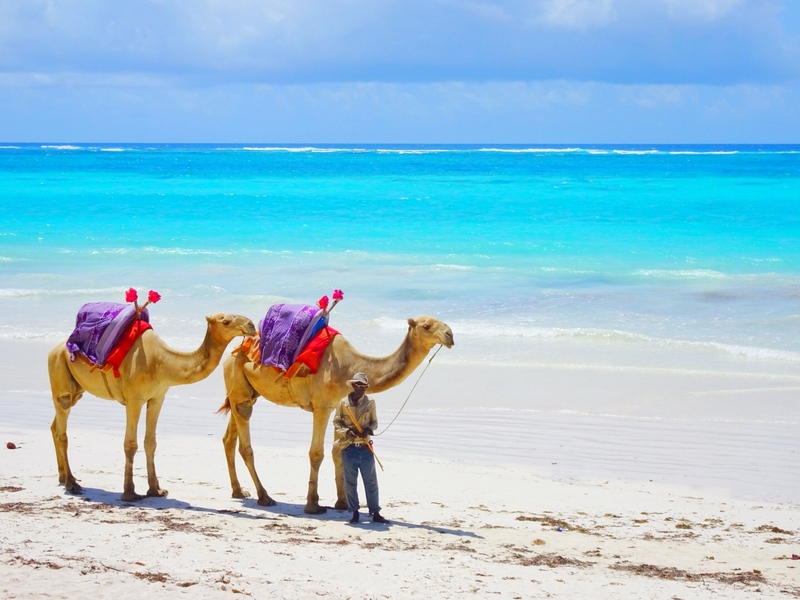 South of Mombasa, you’ll find the beach town of Diani, known for beautiful blue seas and white, sandy beaches. Diani is a popular honeymoon spot, as well as a backpacker favourite. There are a number of hostels in the area, as well as some good bars and restaurants. The backpackers tend to gather at Forty Thieves which is always fun, especially on the weekend. It’s right on the beach so, so I’ve seen a number of impromptu beach dance parties break out. Stilts: This is a chilled out backpacker place with a variety of rooms and treehouses, just a short walk from the beach. They have bush babies living on the land who come to the bar each night. Flamboyant: This boutique hotel is owned by the same people who own Stilts and they allow the Stilts guests to use the pool, so if you’re looking for a slightly more comfortable stay, but similar crowd, then you will enjoy Flamboyant. Diani Backpackers: This popular backpackers is always lively with both travellers and locals, plus they have a good pool. Read more about Kenya here. I’ve put Moshi and Arusha together, as they are two pretty similar cities in terms of the solo travel experience and are aren’t too far away from each other either, although if you have the time, I’d definitely try and get to both. 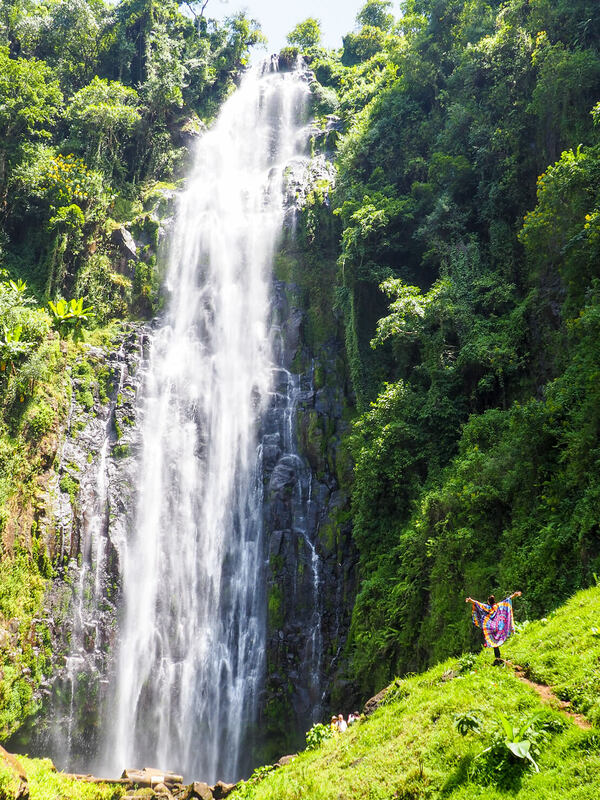 Arusha is a bustling city that lies at the base of Mount Meru and is the gateway to the Serengeti, Ngorongoro Crater and the northern national parks. Moshi, is a little bit quieter and is the starting point for Kilimanjaro trekking expeditions due to it’s close proximity to the mountain which is often visible from the town. 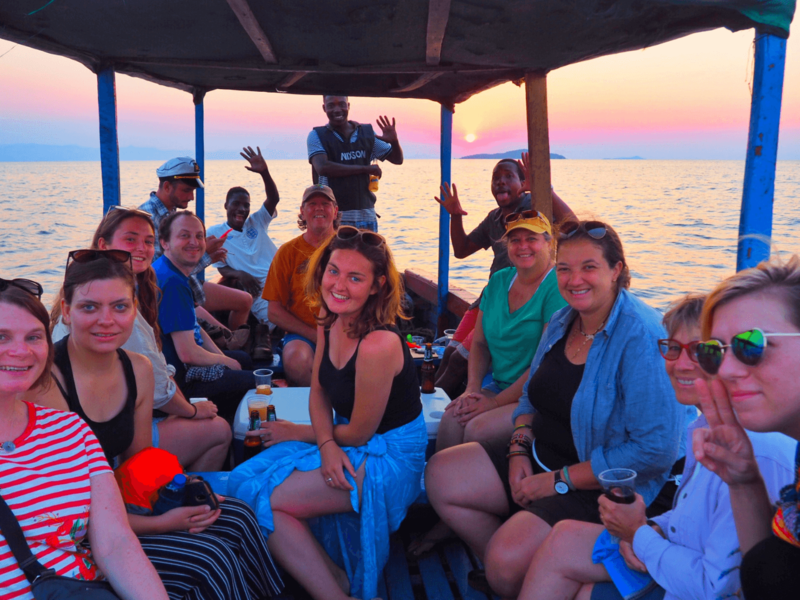 Both cities are popular with the volunteer crowd (volunteering is big ‘business’ in Moshi and Arusha, but that requires a whole other post) so there are always lots of other travellers around and therefor, they’re both great places to meet friends to share safaris or treks with. 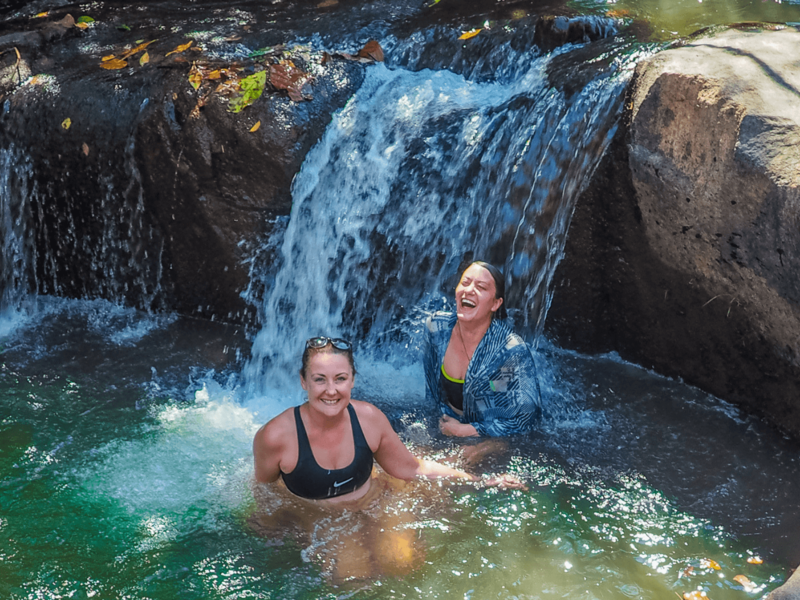 There’s also a lot of other things to do in the area too, such as visiting the hot springs or the Materuni Waterfall, plus both towns have excellent nightlife. Mambo Arusha Hostel: Cute, friendly hostel a little bit outside the main part of town. The White House of Tanzania: Run by Junior and his family, this is a great place to stay that offers communal dinners which always gets everyone mingling. Waka Waka Hostel: Friendly hostel run by David who is always a great host. Bagamoyo is a great town on the coast, opposite the island of Zanzibar, around and a couple of hours north of Dar es Salaam. Once the capital of Tanzania, Bagamoyo is now a much more chilled place to hang out and get a good insight into the history of Tanzania and life on the Swahili coast but without the hectiness of Dar es Salaam, so I would definitely try and add it into your Tanzania itinerary if you can! There are usually some nice people about and a good mix of things to do that don’t cost the earth. 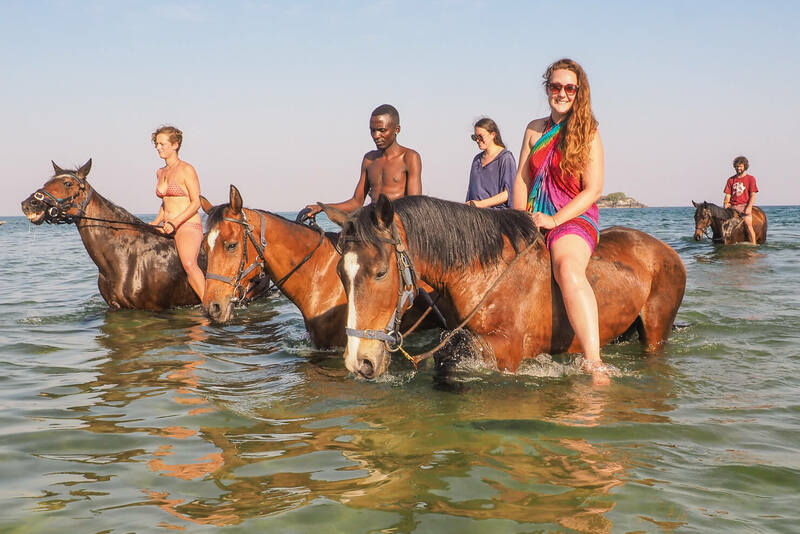 It’s also a great place to arrange safaris to the southern safari parks and you may neet some friends here to travel onwards to Zanzibar with. Firefly: This is a great lodge/hostel, close to the town and the beach, they have a wonderfully social bar and pool area and the food is great too. They also make my favourite breakfast (shakshuka with balsamic reduction – not very African, but very delicious). Read more about Tanzania here. Paje is my favourite place for a solo traveller in Zanzibar and I usually head there first if I’m on my own, rather than Stone Town. 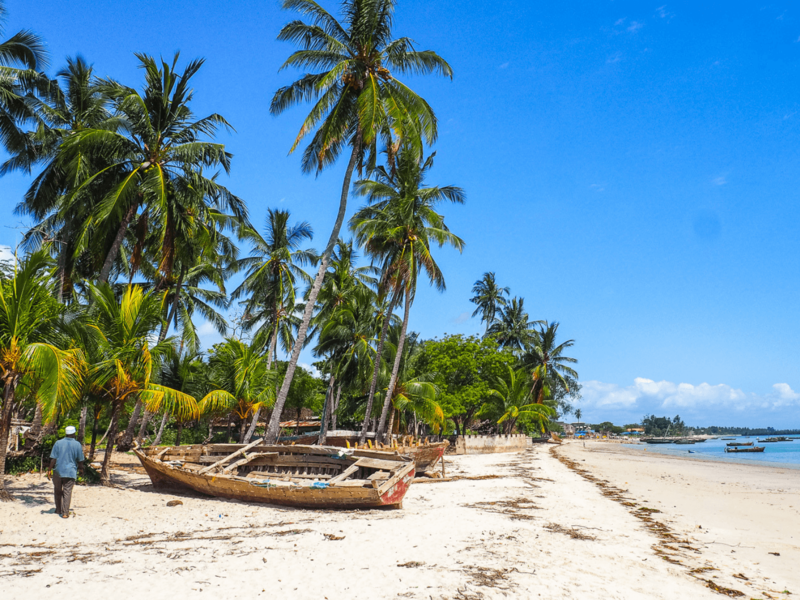 There are a number of hostels, many of which are on or near to the beach and they all seem have that essential mix of ingredients that make backpackers intermingle, plus the area is popular for kitesurfing and diving, so there’s always a few people around. Just be aware that a lot of the backpacker places do hold parties, so it can get quite loud at times. 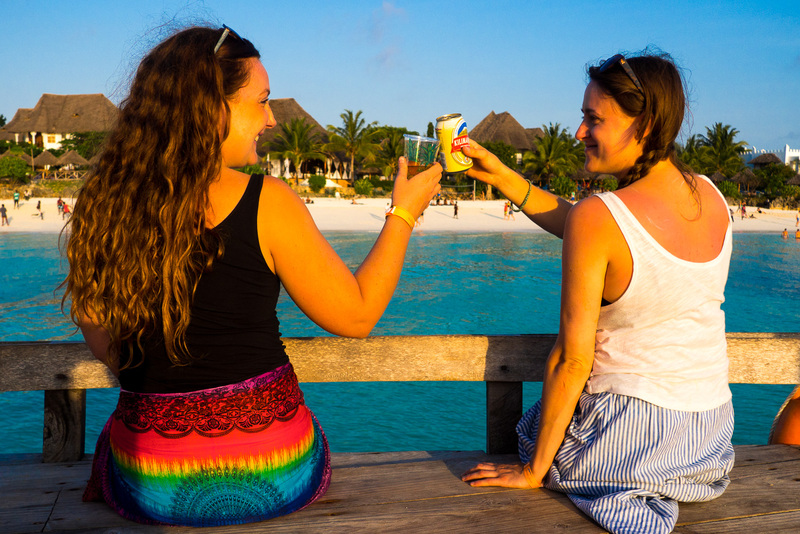 There are lots of cool things to do in Zanzibar so you’ll never be bored and if you book day trips through your hostel, you’re bound to meet other travellers then too! New Teddy’s: Chilled out backpacker favourite. Sociable set up means it’s easy to make friends. They’ve also opened a new place, called New Teddy’s on the Beach in Jambiani which has great reviews. Drifters: Popular hostel on the beach. Hakuna Shida Guesthouse: I really liked this place. It’s not on the beach, but only a short walk away and in a really good location close to all the action. Popular with the kite surfing crowd and pretty quiet too if you want to have a good nights sleep. Ebb & Flow Apartments: Close to Hakuna Shida, this is a lovely place to stay, in the main part of the village. They also have dorms. Nungwi is a village on the northern tip of the island, with a slightly different vibe to Paje. It’s more built up and a bit more touristy, but it’s still really nice, with plenty accommodation, a beautiful beach and you’ll get the best sunset views in this part of the island. The beach villages of Kendwa and Nungwi are pretty close to each other and most travellers pick one or the other to stay in. There are no real ‘hostels’ in Kendwa, so it doesn’t lend itself as naturally to the solo traveller as much as Nungwi or Paje, but there are usually a few solo travellers about and I have been to Kendwa a few times on my own and managed to meet people no problem (with a little more effort). Same goes for Stone Town which I’ll give an honourable mention. I LOVE Stone Town, but it’s not one my favourite solo traveller destinations (in case you were wondering why it didn’t make the cut, but if you do go alone, Lost & Found hostel is pretty nice and there’s also Ten to Ten). Makofi Guesthouse (Nungwi): Chilled out backpacker favourite. Sociable set up means it’s easy to make friends. They’ve also opened a new place, called New Teddy’s on the Beach in Jambiani. Kendwa Rocks (Kendwa): This is a relatively big hotel (in Kendwa, not Nungwi), however it is the place to be on a Saturday night, so the likelihood is that you will meet other travellers here, especially on the weekend. Read more about Zanzibar here. Malawi is a great place to visit as a solo traveller. In fact, it’s my favourite. The country is long and thin and most of the action centres around the towns and villages along the shores of Lake Malawi, so travellers tend to gather in the same spots. Chembe (more commonly called Cape Maclear), a magical town on the southern tip of Lake Malawi, is one of those places. It’s so chill and so beautiful, that it’s almost intoxicating. People go there intending to stay a few days and leave weeks, or sometimes months later. At the moment Cape Maclear is still relatively underdeveloped and I really hope it stays that way. There are a steady stream of travellers making their way here (but not too many usually) and quite a few things to keep you busy – think hiking, the beach (yes the lake has a beach), boat trips, stand up paddle boarding, village walks, diving, kayaking, snorkelling and of course, relaxing! Another reason a lot of people come here is to dive. Lake Malawi has more freshwater fish than any other lake in the world, plus it forms part of the Great Rift Valley, so the underwater scenery is pretty spectacular too. Funky Cichlid: Chilled yet sometimes lively backpacker favourite, right on the beach. Even if you don’t stay here, make sure to drop by for a drink or some food. Thumbi View Lodge: A few doors down from Funky’s, also right on the beach, with slightly more comfortable rooms, a quieter bar and a pool. Busier than Cape Maclear and in the middle of the Lake Malawi lies Nkhata Bay, another backpacker favourite. 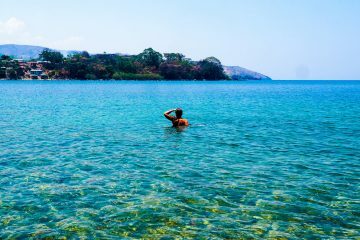 Nkhata Bay is a great place to get a feel for the hustle and bustle of a Malawian town, yet have paradise right on your doorstep. Plus you can dive here too. If you’re intending to take the Ilala Ferry, Nkhata Bay is one of the stops and a good jumping off point for visiting Likoma Island. 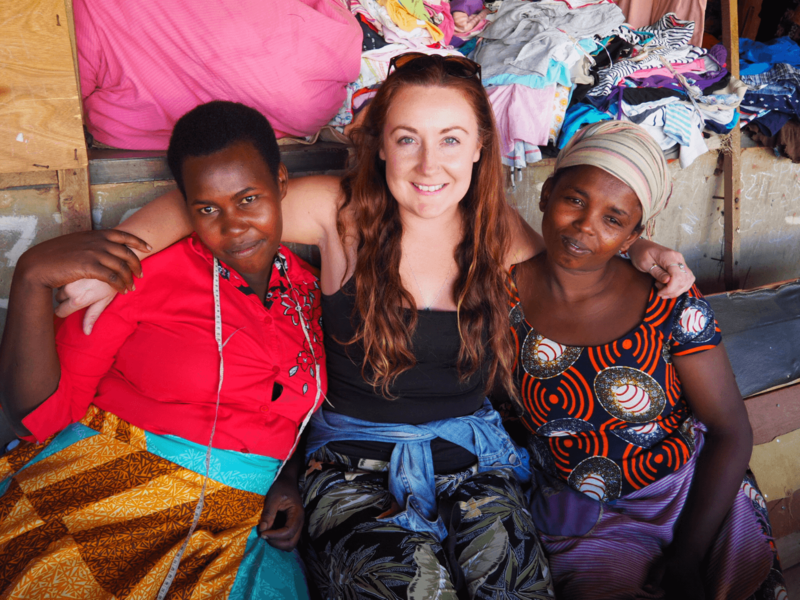 As you backpack through Malawi, you’ll often bump into the same people over and over or meet people who met the people you met a week ago and then you’ll bond over your shared acquaintance. It’s pretty special. Mayoka Village: Nice and friendly backpackers, with a sociable bar and in a good location. They also have some rooms right next to the lake. Whist backpacking in Tanzania, my friend Melissa and I had heard about this great backpacker/eco-lodge in Malawi called Mushroom Farm in Livingstonia and decided to add it to our Malawi itinerary . Mushroom Farm turned out to be fabulous. Quiet enough to be relaxing, yet busy enough to make some new, great friends. Everyone there was just cool, fun and interesting. One of those magical backpacker destinations! Livingstonia town itself is very quiet and a bit of a hike from the hostel (Livingstonia is on top of a huge hill or mountain… not exactly sure how you would clarify it) but there are beautiful views all around and lots of hiking opportunities to see waterfalls and swim in natural pools. Mushroom Farm: Great hostel, cool people and super social with communal vegetarian dinners, so you can’t help but make friends! 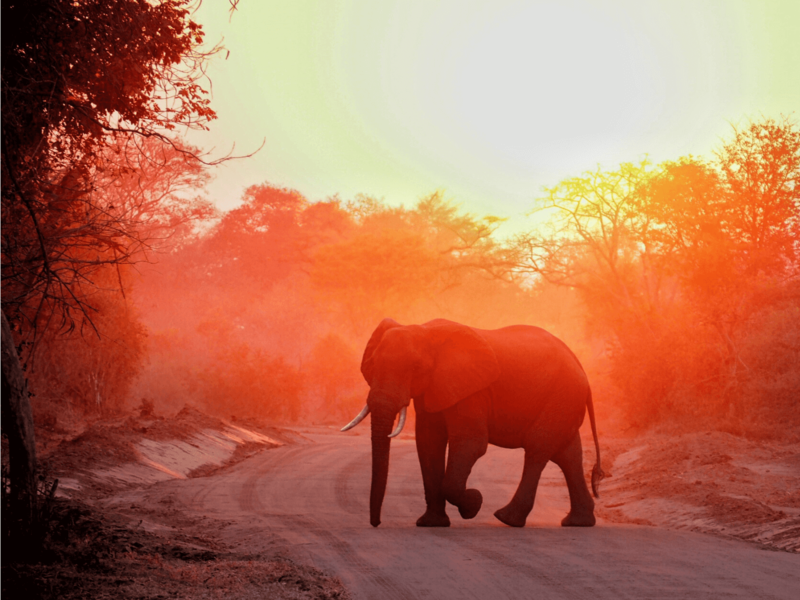 South Luangwa is one of the more unusual safari destinations in Africa for a few reasons. It’s very easily reachable by public transport from Lilongwe in Malawi, or Lusaka and Chipata (in Zambia). Well, for the most part… you can get as far as the town of Mfuwe which is only a few minutes from the main gate and there are a couple of backpacker accommodations to choose from that lie on the river just outside the park – you can just get a taxi or they may be able to pick you up (it literally 5 takes 5 minutes to get there) – just don’t walk as there are tons of elephants around. Entry into the park is a mere $25 per day and you can book accommodation and game drives individually. Meaning you can just choose to do what you can afford. Many of the lodges lie directly on the river, so you can easily spot animals and it’s not uncommon for elephants and giraffes to wander through the camps, so you don’t even have to go on a game drive to be ‘on safari’. Marula Camp: This is a great place for backpackers, right on the river. They have a pool and a dorm room which makes this place a super convenient place for backpackers. Croc Valley Camp: Just along the river from Marula, Croc Valley is one of the most established and reasonably priced lodges and they have tons of accommodation options. I’ve said it a million times, but Livingstone is one of my absolute favourite places in Africa. It’s also the first place in Africa I ever visited. 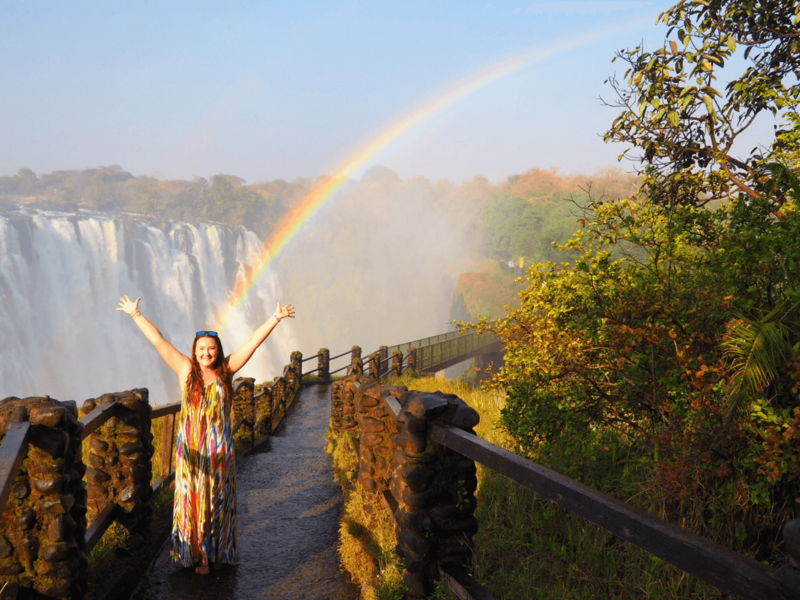 The world famous Victoria Falls is only a 15 minute drive away and due to all of the incredible things to do in Livingstone, this area, along with Victoria Falls town across the border in Zimbabwe, is known as the ‘adventure capital of Africa’. You could stay here a week and not get bored, although you may well run out of money as most of the activities aren’t cheap, however there are quite a few free or cheap things to do too. 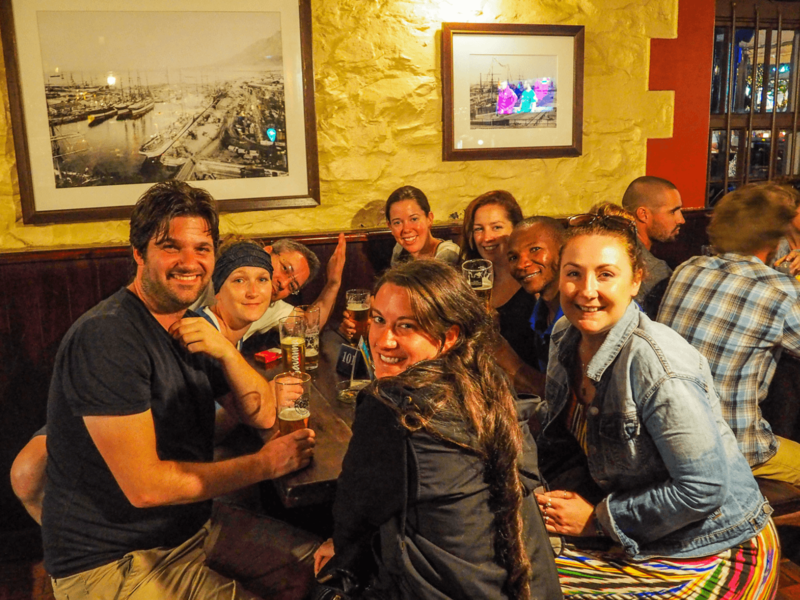 There are usually quite a few backpackers hanging around so you’re bound to meet people and have a great time. Jollyboys: My favourite flashpacker hostel in Livingstone, which has great rooms, great atmosphere and good food. They’re a wealth of local knowledge and can book any activities you want to do. This is always my base when I’m in town and I always make friends. 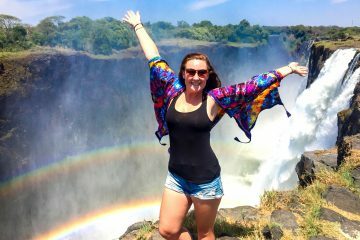 Victoria Falls Backpackers: If you want to stay on the other side of the Falls in Zimbabwe, I’d recommend Victoria Falls Backpackers or Shoestrings. Read more about Zambia here. I debated putting this one in because nowhere in Namibia would not be my first choice for a solo traveller in Africa. I’d much rather take an awesome group tour. Don’t get me wrong, Namibia is great and it’s generally pretty safe (although travellers should be very vigilant in Windhoek especially where muggings and scams are common) but the public transport is not geared up to the tourist market. Buses go to the main towns and cities, but a lot of the things you’ll want to get to see aren’t in the towns and cities, so you’ll either need to hire a car or take a tour which makes it less of a ‘traditional’ backpacker destination in my eyes. 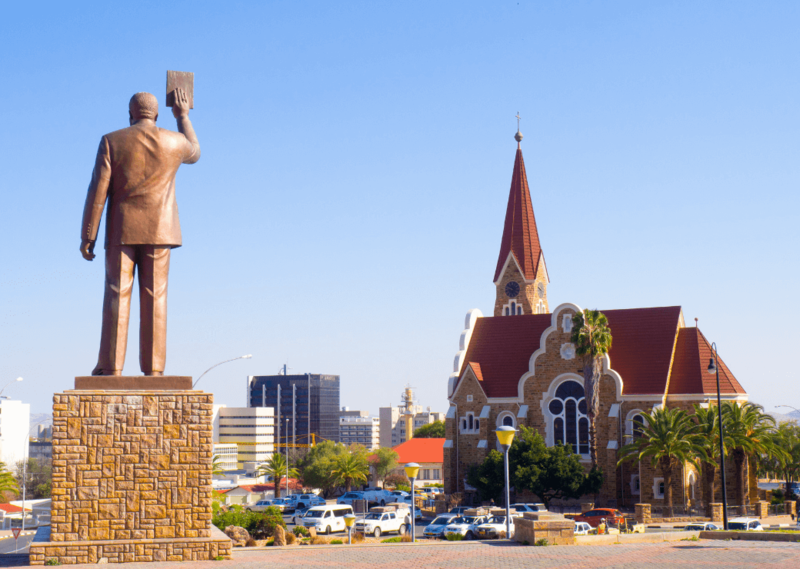 If you want to meet people, to either share a car with or buddy up with, then Windhoek is a good place to do it. Urban Camp: This is a nice camp, with a pretty sociable bar. There are a lot of groups but not as many solos so you may need to make a bit of an effort to get chatting to people, but it is a really nice place to stay. Chameleon Backpackers: I stayed here for a few days and it was really nice and comfortable. I met a few people here and they also offer tours to all of the major sights. The other place I’d recommend for a solo traveller is Namibia’s adventure capital, Swakopmund. 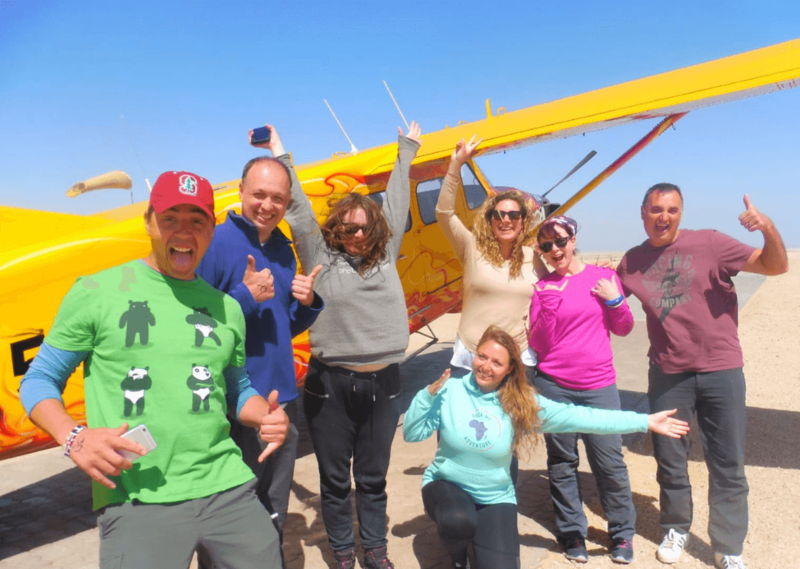 Again it’s not the best place in Africa to meet people, but in terms of Namibia it is, as there are quite a few hostels and loads of cool and adventurous things to do, like desert tours, quad biking, skydiving and boat trips, so you’re bound to meet a few folks if you book onto one. Public transport between Swakopmund and Windhoek is frequent. As a side note… if you’re driving on your own, you’ll definitely be able to meet people in some of the more sociable campsites that have close camping sites and bars (some are quite secluded and spread out and not all have common areas). Salty Jackal Backpackers: Popular backpacker hangout in a good location in town near to Kücki’s Pub and Desert Tavern. Hotel Gruner Kranz: It’s been years since I stayed here, but it was definitely a sociable place. Apparently the music from the bar is quite loud, so you may want to stay at the guesthouse instead of the hotel. Read More about Namibia here. Cape Town is one of the most incredible (and photogenic) cities in the world, so it’s no surprise that it attracts thousands upon thousands of travellers every year. There are an abundance of things to do in and around the city, from driving the Cape Peninsular to hiking up to the top of table Mountain, and if you stay in the right places, you’ll have no problems meeting others to do it with. If you’re looking to road trip through South Africa by hiring a car or by jumping on the Baz Bus, this is a great place to start. I spent about a week or so in Cape town last year, and randomly met up with lots of people I’d met in the months before elsewhere in Africa and made lots of new friends too. The Backpack: I love this friendly backpackers. They’re very eco-friendly, the owners are lovely and they offer a great breakfast. I found the set up really nice for meeting other travellers too. Once in Cape Town: Busier than The Backpack, but right in the heart of the action on popular Kloof Street. Ashanti Lodge: The original Cape Town backpackers and still one of the best. Like Nairobi, Joburg (or Jozi) wasn’t one of my favourite cities when I first visited in 2012. But, also like Nairobi, it has grown on me. There’s so much wonderful creativity in Johannesburg and I love the cool bars, cafes, museums, galleries and shops popping up in the city. 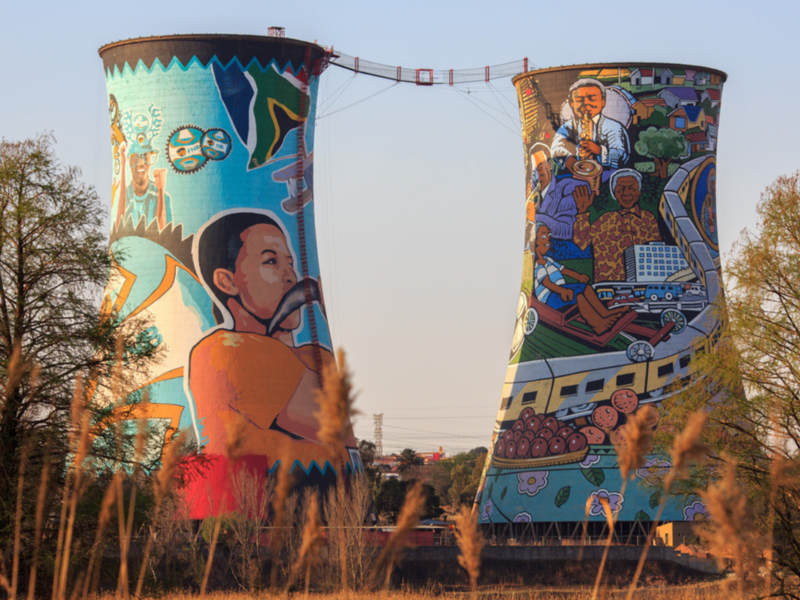 You have to really keep your wits about you in Johannesburg, but it can be a great place for a solo traveller and you will definitely meet people with whom you can explore South Africa with and maybe even further afield to places like Lesotho, Swaziland, Mozambique or beyond. Curiocity Backpackers: This is a wonderful and friendly hostel with a good variety of rooms. It’s the perfect place to meet people. Lebo’s Soweto Backpackers: Another friendly backpackers, but in the Soweto area. They organise great tours of the area. 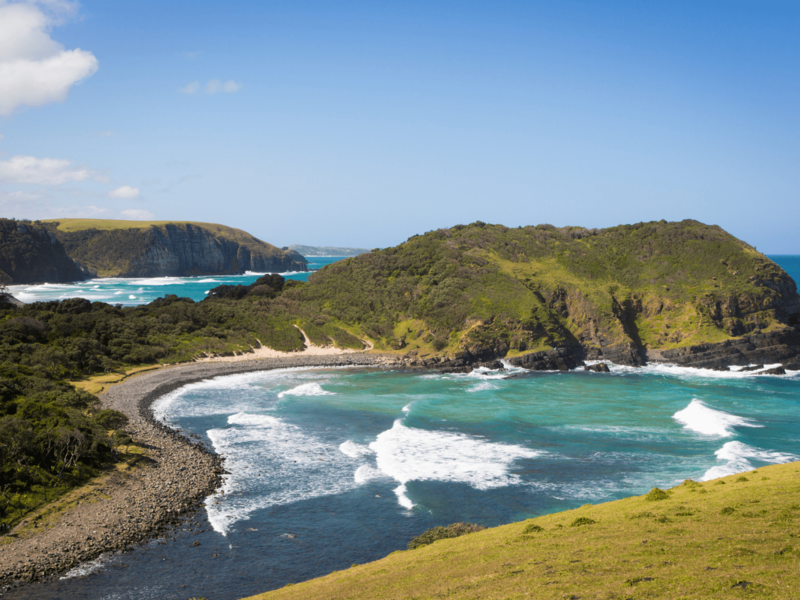 There are so many great places along South Africa’s Wild Coast that I’m not going to write about them all, but the one that stands out if Coffee Bay, a mecca for hikers and surfers, known for being one of the most beautiful places in the world. The coast gives way to beautiful green hills and miles of sandy beaches and the hikes are known for being some of the best in South Africa. The most famous of which is the Hole in the Wall hike which has stunning views across the bay. If you like to be in the water, you can go kayaking on the Mdumbi or Mthatha Rivers or head down to the beach to go swimming or surfing! Coffee Shack Backpackers: There are are a few backpackers in Coffee Bay, the most popular of which being the famous Coffee Shack. Sugarloaf Backpackers: Close by, you’ll also find Sugarloaf, another backpackers with a friendly vibe and great views. Chintsa (or Cintsa), also on the Wild Coast is known for having one of the best beaches in South Africa. 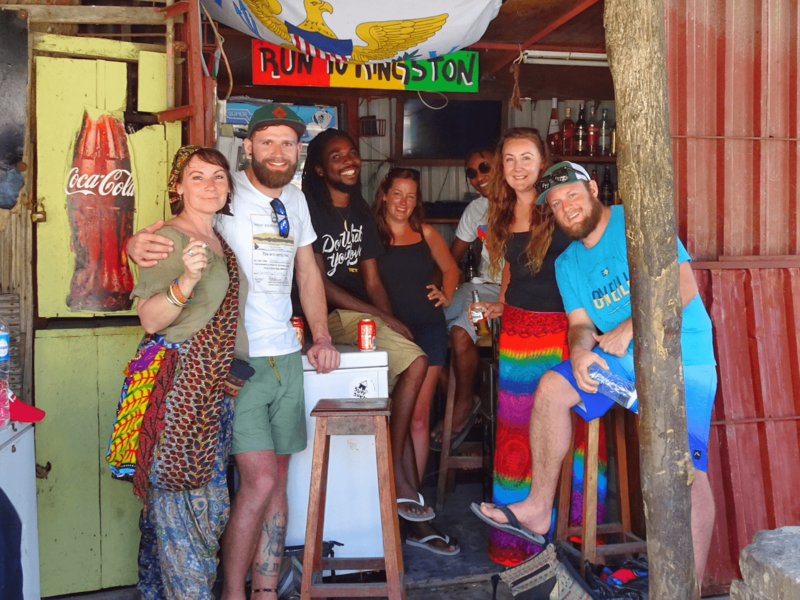 Most of the backpackers tend to gather at Buccaneers, a wonderful lodge and super social hostel that is very involved with the local community. Meeting people is easy here and there are so many wonderful activities to choose from, including horse riding on the beach, quadbiking, canoeing, helicopter rides, whale watching, visiting a local micro brewery, surfing, walks along the beach, zip lining or volunteering at a local project. There are also loads of great places along South Africa’s Garden Route – Wild Spirit at The Crags, Island Vibe at Jeffrey’s Bay and Away With the Fairies or Terra Khaya in Hogsback. Buccaneers: If you want to be really in the heart of it all, stay at Buccaneers – I’d say it’s one of the best hostels in Africa. I love Tofo. It’s cool, beautiful, laid-back and always draws a nice, varied and interesting crowd of backpackers. I visited Tofo with my friend Lucia, but we met loads of solo travellers who quickly became friends and it’s definitely not a place I would think twice about travelling alone if I went again. At the end of our few days, we’d formed a great little group (of both travellers and locals) and I was really sad to leave. There are loads of great things to do in Tofo, including swimming with whale sharks, surfing, snorkelling trips and local village or island tours or you can easily do very little, it’s that kind of place. In the evenings there’s plenty to do too, either hanging around one of the hostels, eating some delicious seafood or having a few drinks at one of the baracks (local bar like the one above). Fatimas: Probably the most well-known of all the backpacker places in Tofo. They have reasonably priced bungalows, can organise any activities you want to do and there’s always a few cool people to hang out with. Mozambeat Motel: Slightly more upmarket and flashpacker style than the other hostels, this is a great and stylish little place with cool room names like Mick Jagger and Daft Punk. I hope you enjoy the places on this list and find lots of new travel buddies! If you have any other suggestions, please leave them in the comments below!